On the coffee table. 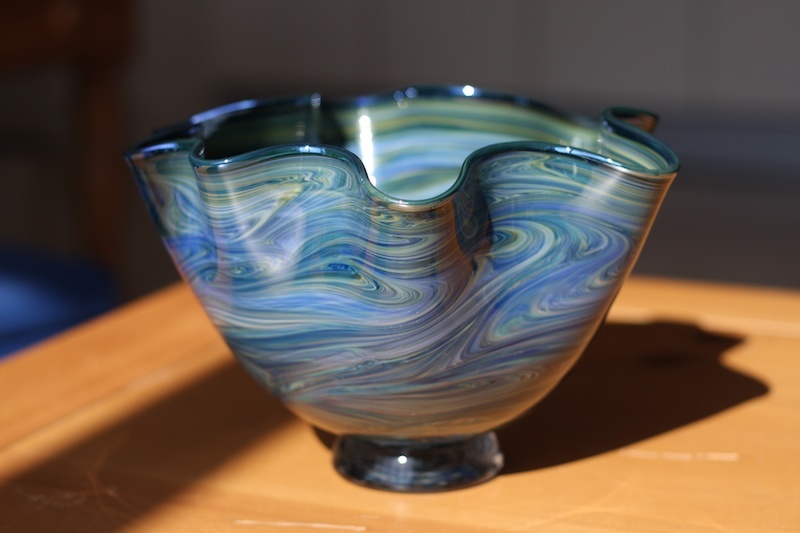 A new acquisition that I got at the Harvest Festival, handmade from an artist in Oakland. His inspiration was Van Gogh's Starry Night. On the table at the chocolate shop. 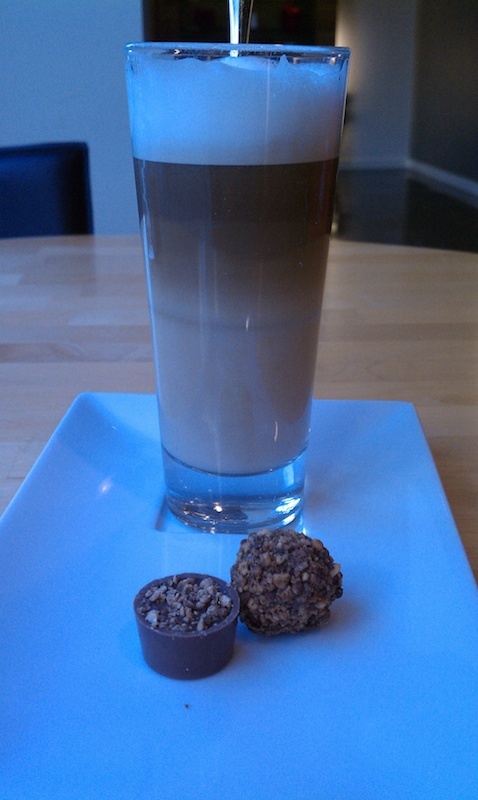 This amazing chocolate shop has a menu item of 2 pieces (or 4 or 6) and coffee of your choice. I was tempted to never go to starbucks in the city ever again. Their chocolate is the just about best i've ever had, but their coffee isn't up to par. On the hideway dining table. 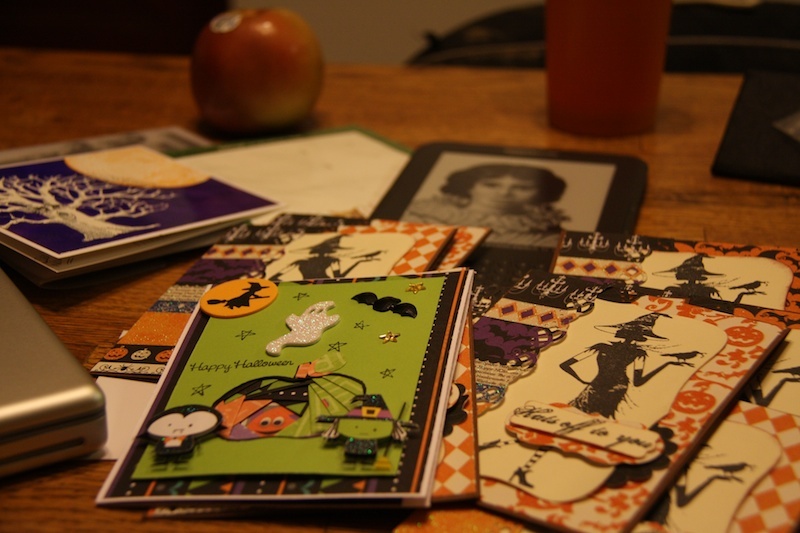 Addressing my halloween cards. You actually send Hallowe'en cards? Lots of them? Did you make them yourself, they look nice. Regarding moving logs, yes, they are heavy, I know from experience. We used to have a small farm many eons ago, with a couple of horses, and we used to harness one of the horses to the logs and I think he really enjoyed pulling them put of the bush. good action shots of Jimmy and the Rhino!